Dose of Nursing | Making a difference in the lives of others. Adjust dose based on lab results. Give by deep subcutaneous injections; do not give IM. Have protamine sulfate on hand as antidote. Protect clients from injury, report bleeding gums, black or tarry stools, and severe headache. Avoid intramuscular route of administration because of the frequent occurrence of hematoma at the injection site. Always follow facility’s heparin protocol, whenever working with this medication. Best known to be powerful anti-depressants. They are effective therapeutic agents for panic disorder and social phobia. MAOIs are tried when other antidepressants don’t work, due to side effects. 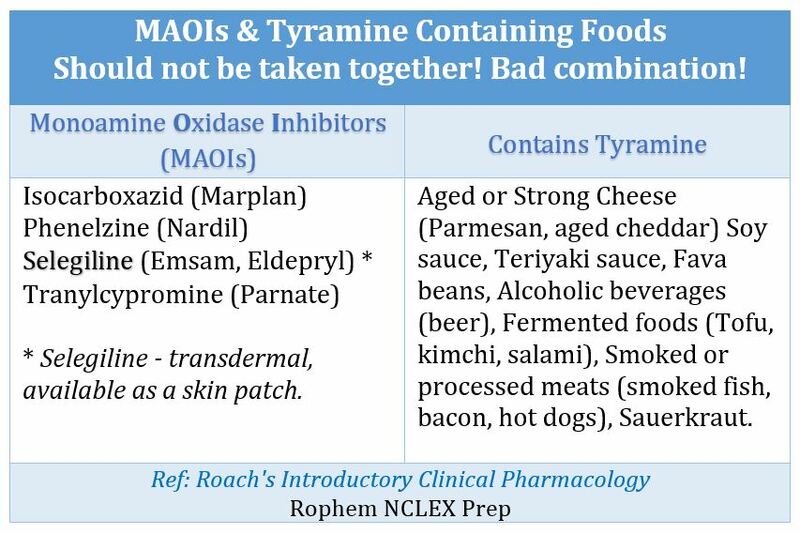 MAOIs can cause dangerous interactions with foods and beverages that contain Tyramine. See table below. It occurs naturally in the body, and it’s found in certain foods. 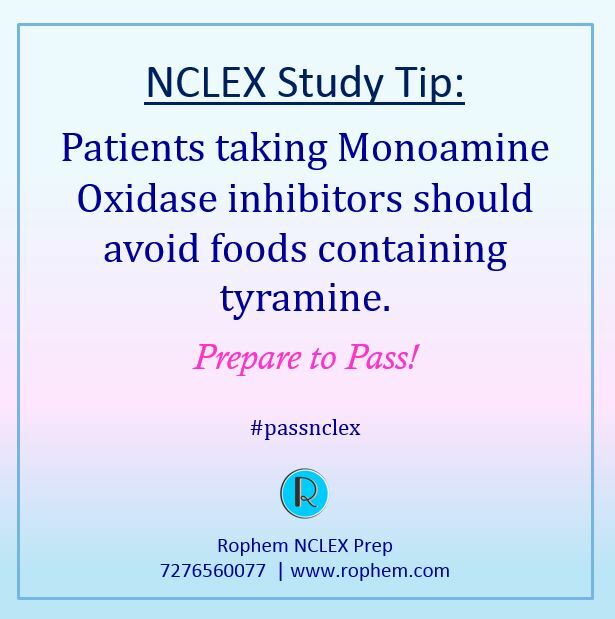 Important: Clients taking MAOIs will need to avoid foods containing high levels of tyramine. Monitor for occipital headache, nausea, vomiting, sweating, fever, chest pain. Notify the MD quickly, if client complain of any of the signs above. Monitor for other drug interactions e.g. sedatives, hypnotics, & analgesics. Check if client is taking Herbal products – St John’s wort has a potential for adverse reaction when taken with antidepressants. Skin: purpuric dermatitis, Steven-Johnson syndrome. Do not stop abruptly, to prevent status epilepticus. Stop if rash, depressed blood count, enlarged lymph nodes, hypersensitivity reaction, signs of liver damage develop. Not for use in pregnancy, it will cause fetal hydantoin syndrome; mental & physical birth defects. Continually monitor cardiac rhythm; check BP frequently. 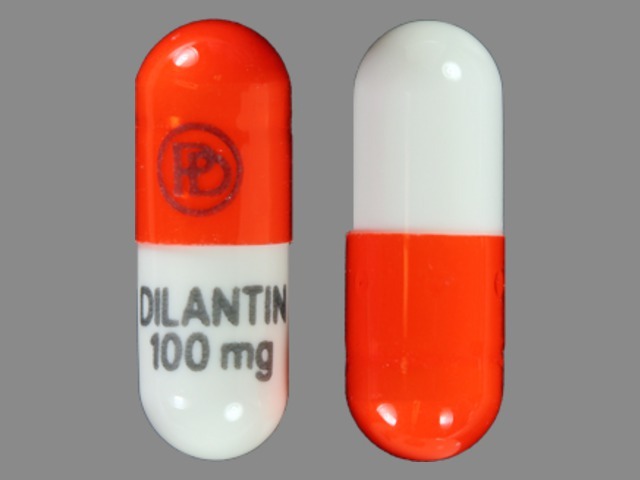 Dilantin capsules should be taken by mouth, swallowed whole. Do not open or crush medication. Patient should take medication with a full glass (8 ounces) of water unless the doctor directs otherwise. Dilantin should be used regularly and all doses taken on time to keep the serum level constant. 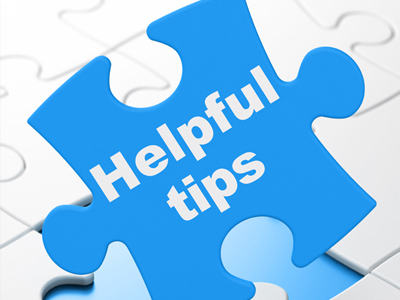 Products that contain calcium (e.g., antacids, calcium supplements) and nutritional tube-feeding products may decrease the absorption of phenytoin. Separate liquid nutritional products at least 1 hour before and 1 hour after phenytoin dose. ‘Tis the season of giving 🙂 To bring out the special Christmas spirit and to usher in the new year, we have decided to host a new year sale. package for your respective state, and you will be renewal ready. Course credits post to CE Broker website within 24 hours. SECOND – Two for the price of One! Rophem NCLEX Review for graduate nurses. 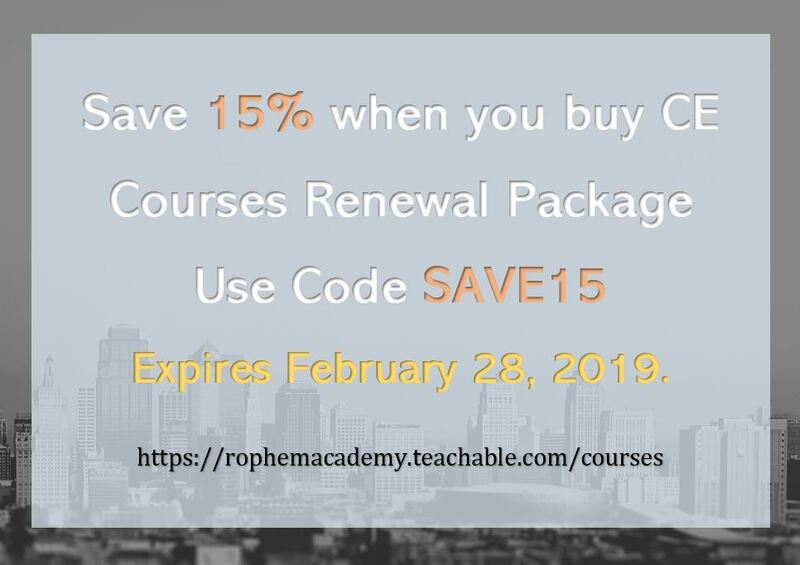 Get your license this New Year 2019 with Rophem and what better way to stay accountable than with a friend. 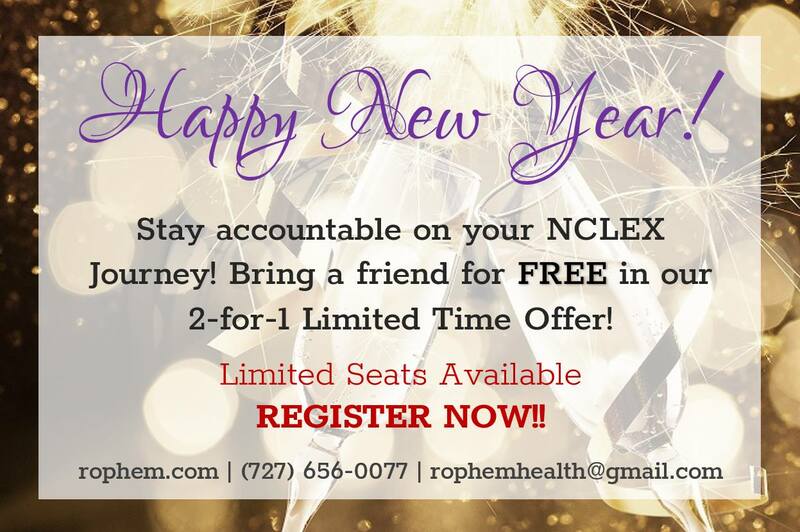 Get one NCLEX review and invite a friend for FREE, or simply split the bill for double the reward! 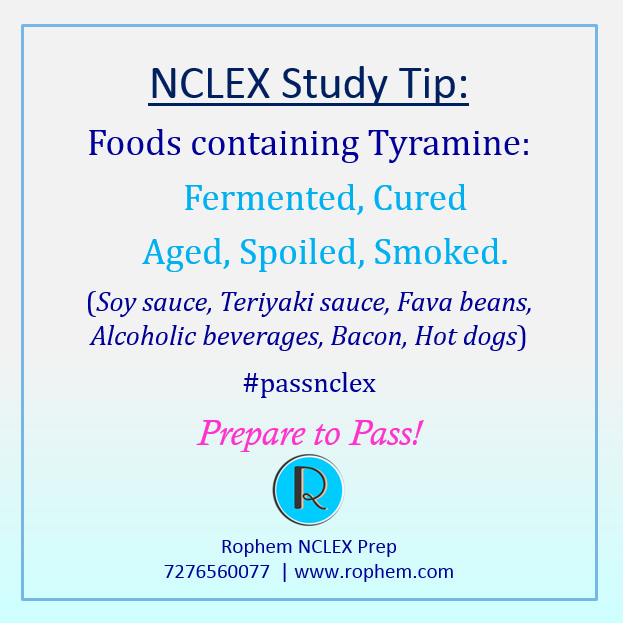 Now you and a friend can do it together – #passNCLEX! Register Now on rophem.com! Seats are limited! January 7, 8, 9, 10 (Mon to Thur). 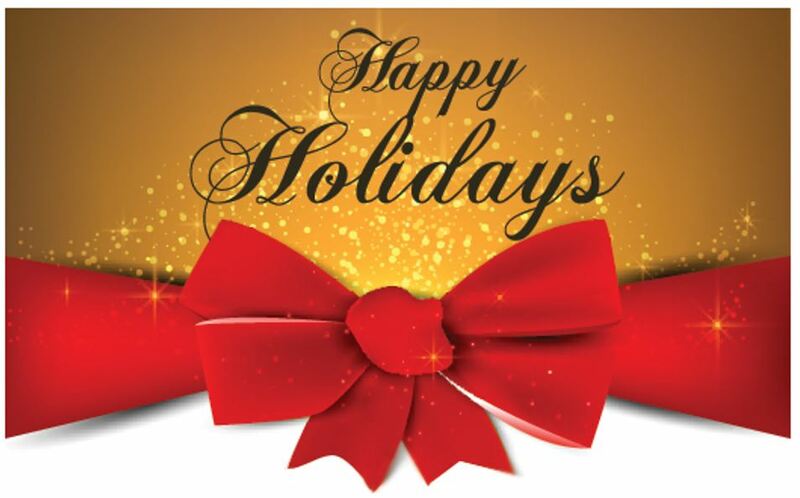 January 14, 15, 16, 17 (Mon to Thur) – 9 am each day. Congratulations!! You have achieved those things that you really wanted – you’ve finished nursing school, passed the NCLEX and now you probably secured your first job as a nurse or you are waiting to get one. So what’s next, how ready are you for the tasks ahead? There are challenges ahead and most graduates feel overwhelmed and unprepared; as a matter of fact, some new nurses find it hard to keep their first job past their orientation time. I remember when I finished nursing school, honestly, it was a great achievement to become a nurse but then the reality of this lovely and wonderful profession can be shocking. As a graduate or new nurse, you really do not know everything; yes, you passed every test but you are still learning and now you learn where you work. Note that as a new nurse, you are not expected to have answers to every question. So here are some ideas to help get through your first year as a Nurse. Be Patient: Remember you are still learning, you don’t know everything, and there are some questions you may not be to answer right away. Give yourself time to learn and you will surely get there. The same thing applied to the unit you work, it will take some time for you to know all the policies and get used to the unit in general. So do not be harsh on yourself. If there is anything you don’t know, don’t feel bad because it is okay. Be Patient; take one day at a time. Don’t be afraid to ask: one of those things that will help you to learn is asking questions. This is a sign that you are ready to learn, and that you do not want to make mistakes. Making assumptions when you don’t know what to do will only lead to mistakes. Remember you are a nurse, and that you are taking care of people – mistakes could be bad, so ask questions. Protect your practice. Take care of yourself: this is where you will need to do a head to toe assessment on yourself. Believe me; I do this all the time, even now. Working as a nurse is very demanding and you will be on your feet for longer hours. So it is highly important to look at yourself, assess and plan for the future. You do not want to break down, eat good food, drink adequate amount of fluid exercise and wear comfortable shoes. Don’t take it home: just like the employer does not want you to bring your home to work, don’t take work home either. Things will happen but once you give report to the coming nurse; that is the end of your shift. You need to go home rest your body, eat good food and prepare for another day. And when someone wrongs you on the job, remember no one is perfect; don’t take it home. Be grateful and believe in yourself: you have come a long way, look back at where you started and see where you are now. Take a look at the nursing curriculum that you’ve learned from, all the exams you took and passed, time to be grateful. Not everyone that started finished. Also belief in yourself, you are a professional nurse, you are licensed and authorized to practice. You can do it, with patience and readiness to learn all you can; it will surely come together. Welcome to the nursing profession!!! Polycythemia vera is a rare disease in which the body makes too many red blood cells. The excess cells make the blood too thick, this thickness causes blood to flow very slowly. It is a slow-growing cancer of the blood. A person may have this disease and not know, it may be discovered during a blood test for another reason. A rare disease that can occur at any age, but it is common in people over 60 years. Polycythemia vera can be life-threatening if it is not treated quickly. Survival time may be 10 to 15 years with new treatment. Primary which is a chronic myeloproliferative disorder from chromosomal mutation. Secondary polycythemia can be hypoxia driven. Hypoxia stimulates the kidneys to produce more erythropoietin which then stimulates the production of erythrocytes. The need for more oxygen in the secondary type could be due to multiple reasons: cardiovascular disease, pulmonary disease, or tissue hypoxia. Hypertension and Hyperviscosity from polycythemia vera are the cause of circulatory manifestations that are seen in this disorder. Pruritus which is exacerbated by hot bath may be a confirmatory symptom. Other sign and symptoms include painful fingers and toes, hyperuricemia, weakness, and easy fatigability. Complications include abnormal blood clots, which can lead to a heart attack or stroke. Blood tests – elevated hemoglobin, increased platelets, uric acid, cobalamin levels. Increased histamine levels. Increased RBCs are noted in Bone marrow examination. Treatment for polycythemia vera includes administering oxygen, radioisotope therapy, or chemotherapy agents for bone marrow suppression. Phlebotomy is the top treatment, to reduce the percentage of hematocrit; during phlebotomy, about 300ml of blood or more may be removed every other day until hematocrit is down to normal level. Maintain adequate oxygenation. This may prevent secondary polycythemia; primary polycythemia is not preventable. Control of pulmonary diseases, teach client to stop smoking. Monitor hydration therapy closely to avoid fluid overload.